React Native Drawer Navigator Example is today’s leading topic. React Native Navigation is a robust library that helps us create Navigation between different screens, Drawer navigation and Tab navigation in our React Native apps. We also use Ionicons to display the icons on the screen. After this example, you can able to create a drawer which will toggle based on the button. 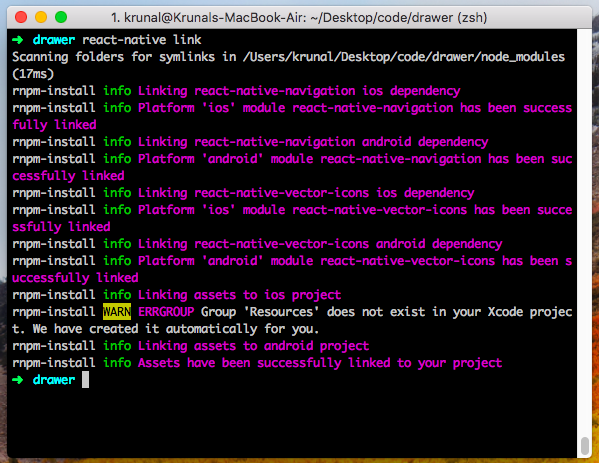 Let us start this React Native Drawer Navigator Example by installing React Native on Mac. 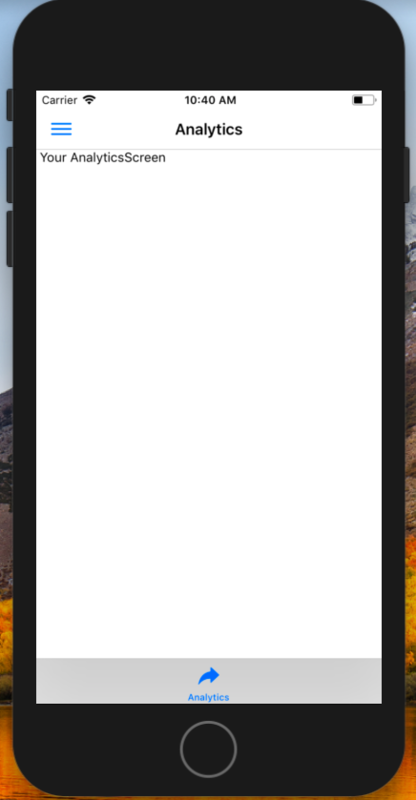 3 #2: Create a HomeScreen for our application. 4 #3: Create an index.ios.js file inside the root. 5 #4: Create one more screen. 6 #5: Create a SideDrawer Component. 7 #6: Finishing the Drawer. Install React Native using React Native CLI. If you have not installed the React Native CLI then install it globally by the following command. Type the following command to install it globally. Now, create a React Native project using the following command. Install the third-party library using the following command. Now link these dependencies or configure it with our project using the following command. You also need to change one thing, if not done correctly. #2: Create a HomeScreen for our application. Inside the root folder, create one folder called screens. Inside that folder, create one file called HomeScreen.js. Write the following code inside it. Okay, now inside App.js file write the following code. We need to register the Navigation component. #3: Create an index.ios.js file inside the root. We have already one file comes with a project called the index.js, but we will not use it. Instead, we create iOS specifically that is why its name is index.ios.js. Write the following line of code inside the index.ios.js file. #4: Create one more screen. Inside screens folder, create one file called AnalyticsScreen.js and add the following code inside it. 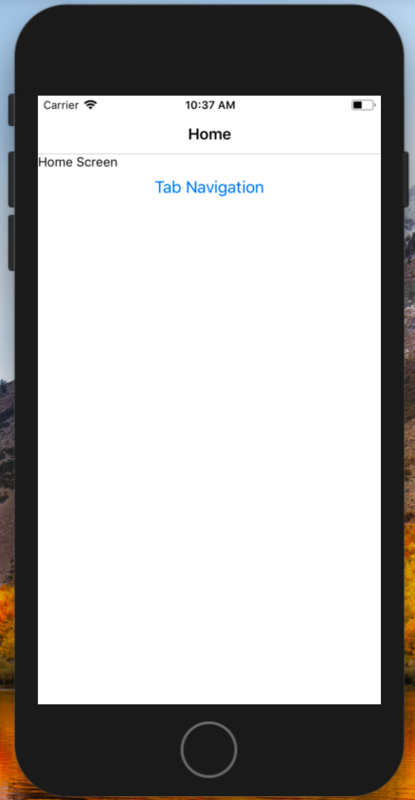 Now, register this screen inside App.js file. #5: Create a SideDrawer Component. Inside the screens folder, create one file called SideDrawer.js and add the following content. This is the component we will display as a sidebar drawer. Now, we need one configuration file called startMainTab.js file inside screens folder. So let us create it. So, here we have used one tab screen called AnalyticsScreen.js. Also, we have attached the Drawer to it. Now, we need to import this inside HomeScreen.js file. So when the user clicks on the button, we can see the AnalyticsScreen tab. Okay, now run the application using the following command. Now, you will see your Home Screen like below image. Now, click on the Tab Navigation and you will see the following screen. Inside the AnalyticsScreen.js file, we need to add an event that can toggle the Drawer. So final file looks like below. Also, register the SideDrawer.js inside App.js file. Save the file and go to the Simulator and refresh the screen. Now you can able to toggle the Drawer. Finally, we have achieved our Goal and created working Drawer. React Native Drawer Navigator Example is over. Thanks for taking. I have put this code on Github. Device: (13:5915) No default export of ‘App.js’ to render!